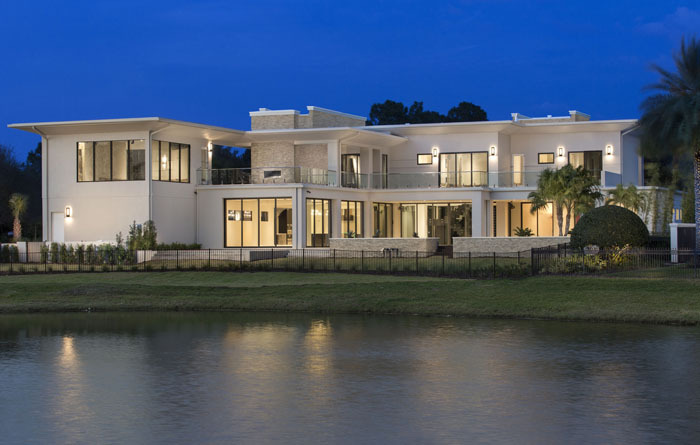 As the premier home showcase event in Central Florida, Phil Kean Design Group is thrilled to once again be a part of the Orlando Parade of Homes. Our 2016 entry in the Custom Home category, Red8, is a 6,268 square foot home showcasing our team’s signature luxury modern home design style and effortless blend of outdoor and indoor spaces. While the home is not open for public viewing during the Parade due to its private location at the Lake Nona Golf and Country Club, we encourage you to watch our virtual video tour to experience Red8’s every show-stopping feature. Red8: What’s in a Name? A one-of-a-kind, custom home, Red8’s name was derived from Chinese symbolism. In the eastern culture, the color red symbolizes luck, happiness and joy, while the number 8 is considered a particularly lucky and prosperous number, often favored when purchasing homes, choosing special dates and more. Boasting four bedrooms, five full bathrooms and two half baths, Red8’s layout was meticulously and thoughtfully designed to be open and organically flow from room to room. Featuring a blended floor plan that includes a spacious lanai and pool area, generous balcony and sliding glass walls, the home’s living spaces are filled with natural light and breathtaking water views. The large lanai acts as an extension of the indoors and adds1,200 square feet to the home’s living and entertaining space. 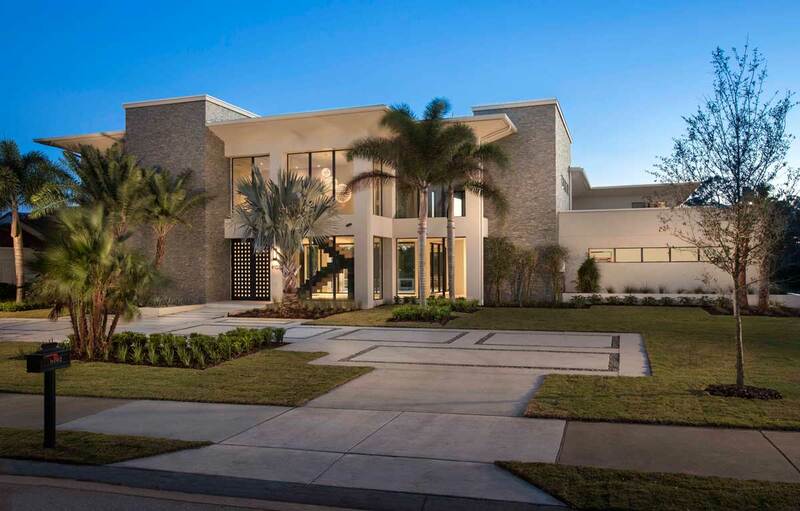 A simplified palette of neutral, warm colors and mature landscaping blend the home with nature while additional signature features including a reflecting staircase, gourmet kitchen, spa room and wet bar, make Red8 a unique example of luxury modern home design. For a closer look at Red8’s unique design and build, be sure to view the home’s virtual tour and stay tuned to results from our entry in the 2016 Parade of Homes.